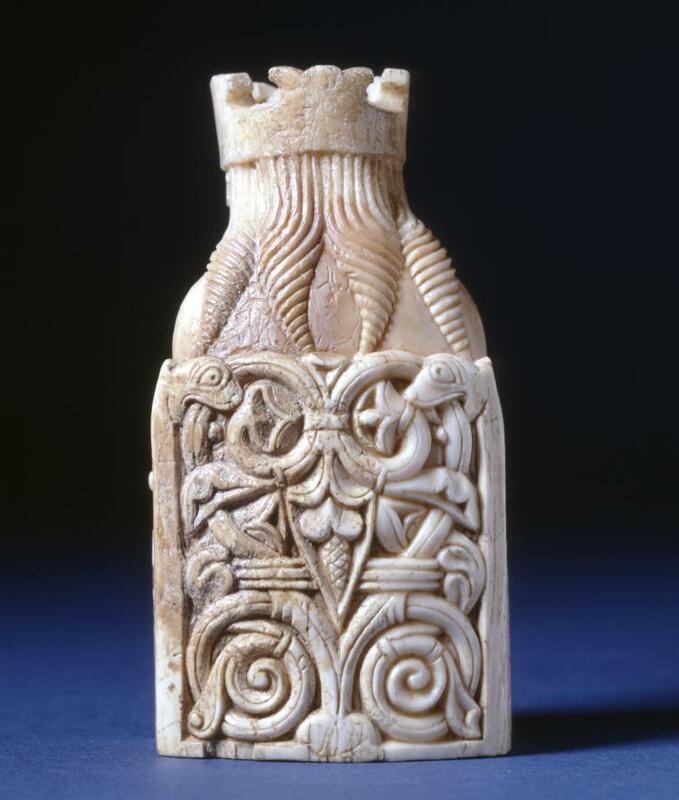 Ah, the mystery of an ancient tongue…. This piece contains information on the distribution of bovine, pig and deer hides to shoe and saddle-makers. Linear B is the oldest preserved form of written Greek that we know of. By the time we first meet this writing system, Greece and different areas of the western coast of Asia Minor were already Greek-speaking. Linear B was used to write an archaic form of Greek known as Mycenaean Greek, which was the official dialect of the Mycenaean civilization. The inscriptions found in Crete appear to be older than those discovered in mainland Greece. The oldest confirmed Linear B tablets are the so-called Room of the Chariot Tablets from Knossos and have been dated to c.1450-1350 BCE, while the tablets found at Pylos have been dated to c. 1200 BCE. Numerous tablets with Linear B inscribed upon them were unearthed during the excavation of the palace of Knossos on the island of Crete. 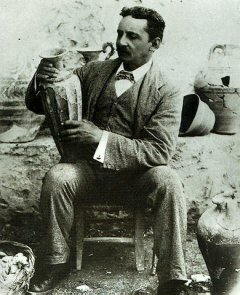 The principal work was begun in 1900; the archeologist who headed up ‘the dig’ was Sir Arthur Evans. 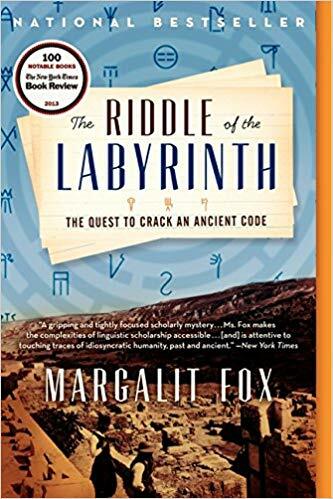 The Riddle of the Labyrinth (a title I love) is not so much about the excavation per se as it is about the decades long effort to render this ancient script comprehensible to modern readers. Many linguists and classicists worked on this incredibly complex puzzle. If you’re thinking that this is a fiendishly difficult subject, you’re right. 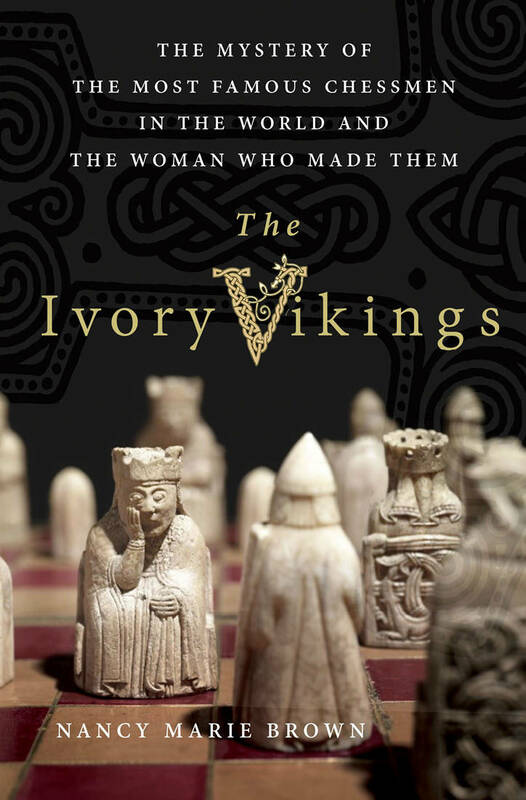 But the stories of the people involved, brilliant scholars with egos to match in many cases, is fascinating. The woman was Alice Kober, an overworked, underpaid classics professor at Brooklyn College. In the mid-20th century, though hardly anyone knew it, Dr. Kober, working quietly and methodically at her dining table in Flatbush, helped solve one of the most tantalizing mysteries of the modern age. 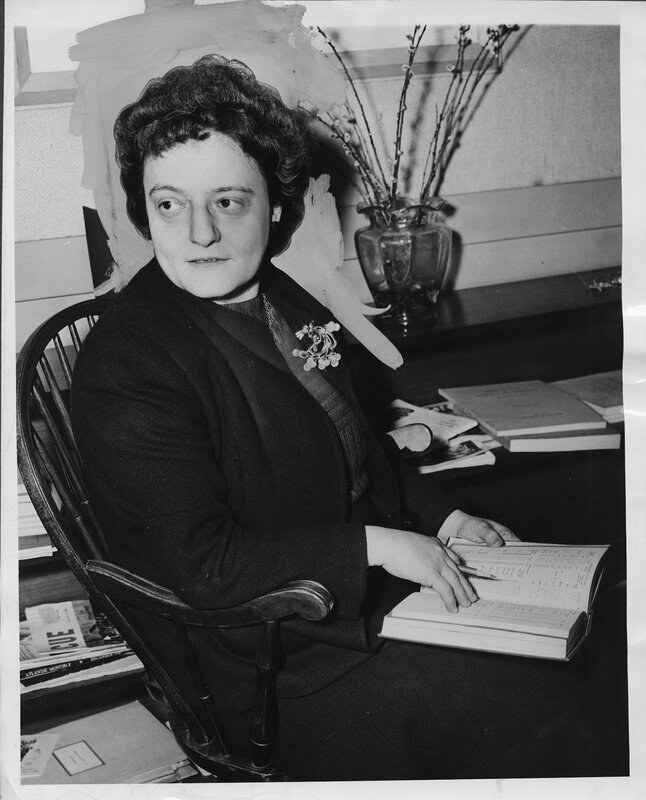 The scholarly field on which Kober did battle in the 1930s and 40s was very much a msn’a world, and it is understandable, if now unpalatable, that her male contemporaries so often characterized her in terms of maidenish qualities. That at least some twenty-first century writers continue to accept this appraisal is far less understandable, and far less palatable. Despite her unrelenting efforts, which did result some major breakthroughs, Alice Kober didn’t quite manage to crack the code. That goal was achieved in 1952 by Michael Ventris, a British architect who, like Kober, had long been obsessed by Linear B. That she very nearly solved the riddle is a testament to the snap and rigor of her mind, the ferocity of her determination, and the unimpeachable rationality of her method. 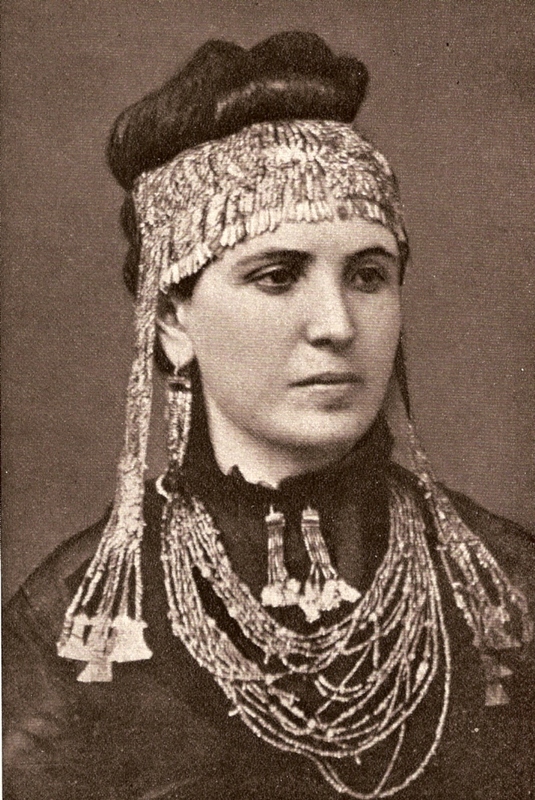 As it was, she died before she could complete the task, in 1950, at the age of 43. 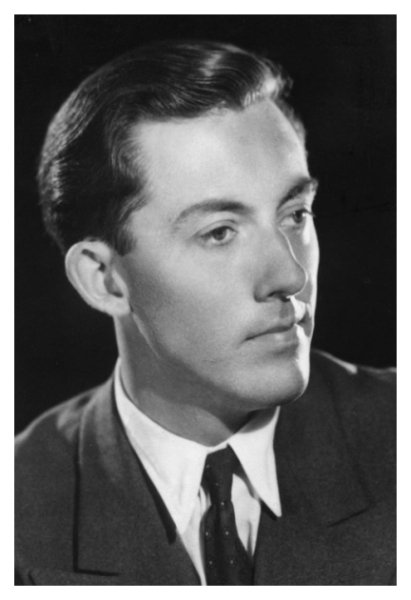 Michael Ventris’s story is actually quite tragic. In 1956, while driving late at night, he slammed into the back of a truck parked by the side of the road. He was 34 years old. The death was ruled accidental; not everyone considers it so. There’s an interesting article on the subject by Theodore Dalrymple in the New English Review. 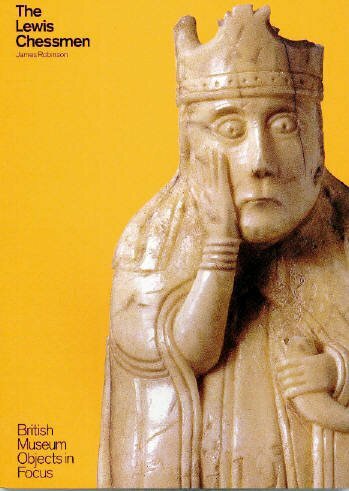 Escape with me to the Twelfth Century…. 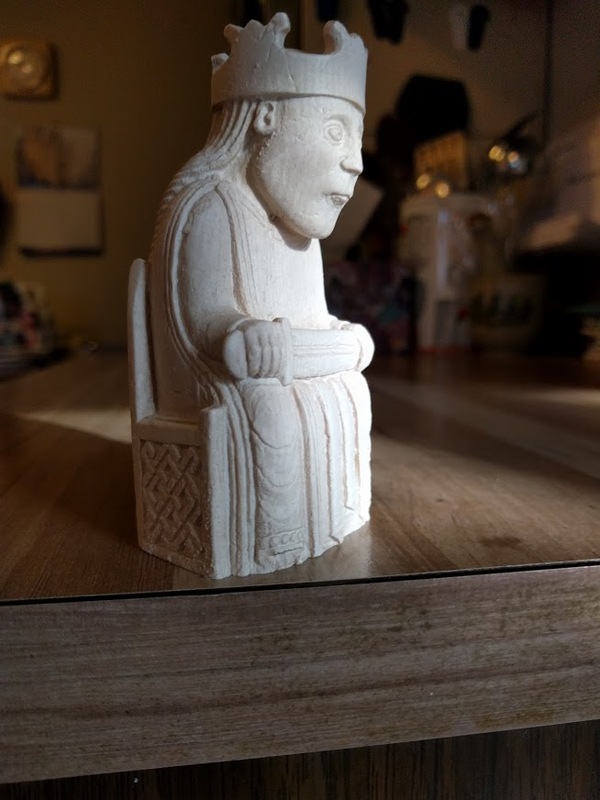 He is about four inches tall. Out of their glass display case, they are impossible to resist, warm and bright, seeming not old at all, but strangely alive. They nestle in the palm, smooth and weighty, ready to play. Set on a desktop, in lieu of the thirty-two-inch-square chessboard they’d require, they make a satisfying click. 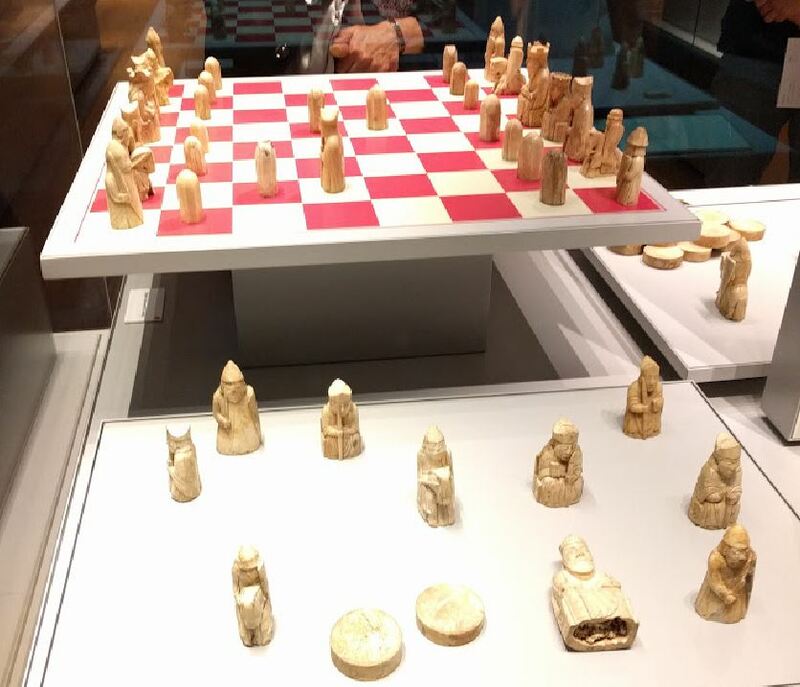 It’s beautifully illustrated and tells not only the story of the discovery of the Chessmen but also the history of the game of chess (a game, I should add, that I’ve never learned to play). All of the above has put me in mind of Ingmar Bergman’s film The Seventh Seal. 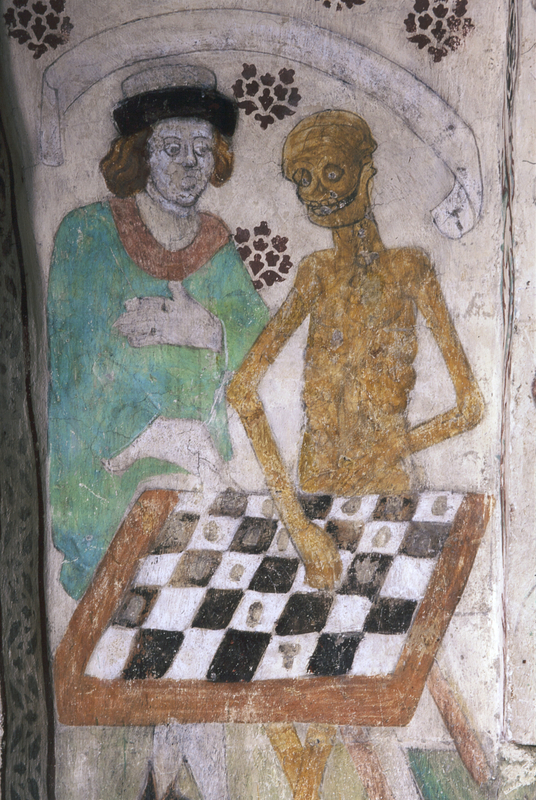 In this film, made in 1957 and set in the Middle Ages, a disillusioned Crusader Knight challenges Death to a game of chess. The stakes could not be higher. 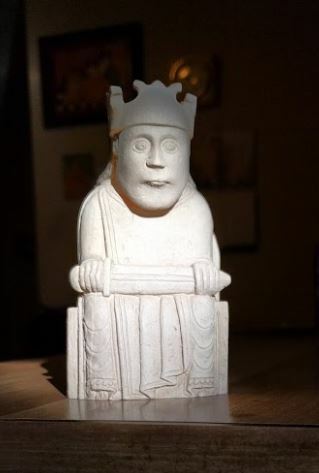 Brown says that the chess pieces used in the film were modeled on the Lewis Chessmen. Here is the opening sequence of The Seventh Seal. …a post in which I describe the way in which Kerry Greenwood’s novel sent me hurtling back in time to the world’s first great civilization. Out of the Black Land was a great read, for sure, but it was more than that. As a recreation of an almost impossibly remote time, it succeeded magnificently – at least it did for this reader. In the name of Ptah, in the name of his consort Mut after whom I was called and his son Khons, who is the moon and time, in the hope that my heart will weigh heavily against the feather and I may live and die in Maat which is truth, I declare that my name is Mutnodjme and my sister is the most beautiful woman in the world. This bravura performance in prose serves as the opening paragraph of the novel. I was drawn in at once. And who is this peerless sister? She is Nefertiti, the soon to be Great Royal Wife of Pharoah Akhnamen. Names are fluid attributes in this strange and exotic world. Akhnamen’s own will soon be changed,, by his own inflexible will because of an equally inflexible obsession. This is this same man who plucks the youth Ptah-hotep from the school for scribes where he is a student and bids him serve at the royal palace. It’s a great honor, but it also means separation from his fellow student, the dearly beloved Kheperren. As the author takes us step by step through the tumultuous world of Egypt’s eighteenth dynasty, we follow in particular the lives of Mutnodjme and Ptah-hotep as they grow into adulthood in this strange and fabulous land. It makes for a riveting story. I am now reading a book about the rise and fall of ancient Egypt. Written by Toby Wilkinson, it’s unsurprising title is The Rise and Fall of Ancient Egypt. It resides on my Kindle app, and I read a section or two each day, taking in the vast information in minute doses, the better to retain it. Inevitably, some sections are more challenging than others, but for the most part the book is highly readable. And now that I’ve reached the Eighteenth Dynasty I am filled with anticipation, for soon I’ll be reading about Akhnaten (aka Amenhotep IV), that strong willed iconoclast who was powerful in some ways, impotent in others. I’m eager to see the extent to which Toby Wilkinson’s description of him tallies with Kerry Greenwood’s portrayal. The Middle Kingdom was the golden age of literature, when many of the great classics were composed. From the heroic Tale of Sinuhe to the rollicking yarn of The Shipwrecked Sailor, from the overtly propagandist Prophecies of Neferti to the subtle rhetoric of The Eloquent Peasant, and from the metaphysical Dispute Between a Man and His Soul to the burlesque Satire of the Trades, the literary output of the Middle Kingdom reveals ancient Egyptian society at its most complex and sophisticated. This is how Toby Wilkinson introduces Part II of his book, entitled “End of Innocence (2175-1541 BC).” Kerry Greenwood references Satire of Trades in Out of the Black Land. That was the first I’d heard of it. The other above mentioned works were completely unknown to me, and I wondered why. In his introduction to Ancient Egyptian Literature, John L. Foster explains that we have been taught to revere our Greek and Hebraic heritage, particularly the latter, identified as it is with religious observance. These languages have been the lens through which we have seen the culture of the ancient world. Egyptian hieroglyphic is a dead language. Its meaning only began to be recovered when Champollion deciphered the hieroglyphs in 1822. And it was not until the last quarter of the nineteenth century that a tradition of translating the hieroglyphs into English could even begin to develop. Translation of ancient Egyptian literature is barely a century old, only four or five generations of Egyptologists have had a chance to work on the language, and most of the effort has of necessity been devoted to basics — vocabulary, word order, and sentence patterns. These efforts of earlier language scholars have been absolutely fundamental to, and necessarily preceded, any attempt to recover ancient Egyptian literature as literature and as poetry. Our cultural traditions, along with loss of the key to the hieroglyphic language for so many centuries, have blinded us to the value of what has survived from the literature of ancient Egypt. It has riches thus far largely unrealized. retold time and again in their narrations. Where are their dwellings now? like something that has never been. Why, just now, must you question your heart? Is it really the time for discussion? There are more like this. They took my breath away. There’s plenty of love in Out of the Black Land; all kinds of love. After reading some the poetry in Foster’s anthology, I could not help but feel that in this novel, Kerry Greenwood got it right. There are two online sites concerning Ancient Egypt that I especially like: The Ancient Egypt and Archaeology Web Site and The Ancient Egypt Site, curated by Belgian Egyptologist Jacques Kinnaer. In her lively Afterword, Kerry Greenwood reflects with considerable asperity on the widely varying viewpoints of scholars in the field of Egyptology. She has also appended to her novel a highly useful bibliography. The title of this post is taken from the first line of “Ozymandias” by Percy Bysshe Shelley. I don’t normally buy this magazine, even though like most people, I am fascinated by archaeological expeditions and discoveries. 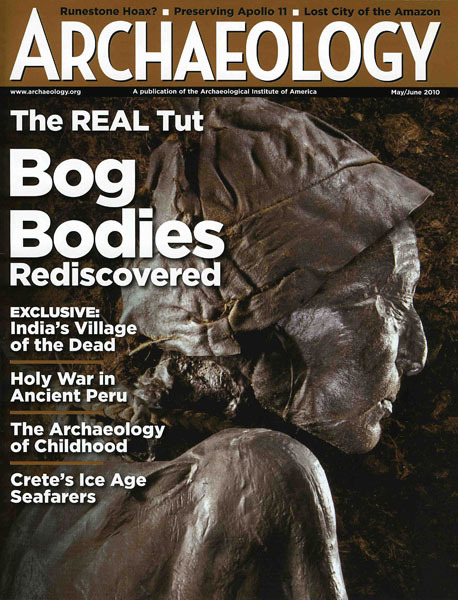 I bought this particular issue because of the photograph of the Tollund Man on the cover. 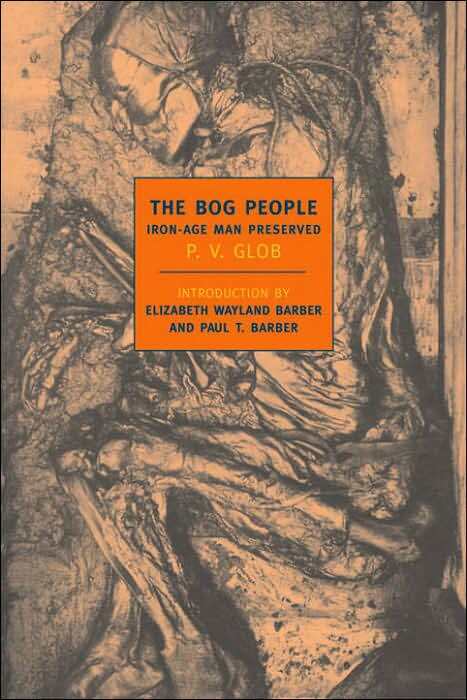 Many years ago, when I was teaching high school English, I used a text book that contained an excerpt from The Bog People: Iron-Age Man Preserved, by Danish archaeologist P.V. Glob. At the time, I was faced with the usual cohort of bored, antsy teenagers, and I don’t recall getting mush of a response from them when we discussed this piece. But I have never forgotten the effect it had on me. The English translation of The Bog People appeared in this country in 1969. 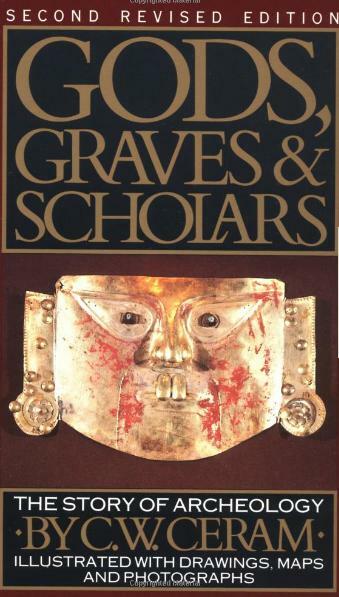 Gods, Graves, and Scholars, another landmark volume on archaeology by C.W. Ceram, was written in 1949. It was translated from the German and published here in 1951, A revised edition appeared in 1967. That was already some years after my mother had first urged me to read it. ‘Archaeology, I found, comprehended all manner of excitement and achievement. Adventure is coupled with bookish toil. Romantic excursions go hand in hand with scholarly self-discipline and moderation. Explanations among the ruins of the remote past have carried curious men all over the face of the earth. ‘Incredible as it may seem, this actually happened: the rich and eccentric foreigner one evening sat in the village square and read the Twenty-third Book of the Odyssey to the descendants of those who had been dead for three thousand years. Overcome by emotion, he wept, and the villagers wept with him. ‘Nervously Carter lit a match, touched it to the candle, and held it toward the hole. As his head neared the opening–he was literally trembling with expectation and curiosity–the warm air escaping from the chamber beyond the door made the candle flare up. For a moment Carter, his eye fixed to the hole and the candle burning within, could make out nothing. Then, as his eyes became gradually accustomed to the flickering light, he distinguished shapes, then their shadows, then the first colors. Not a sound escaped his lips; he was struck dumb. The others waited for what seemed to them like an eternity. Finally Carnarvon could no longer contain his impatience. “Can you see anything?” he inquired. ‘Momentarily, the sun burst in, bright and yet subdued, through a gate in blue thunder-clouds in the west, bringing everything mysteriously to life. The evening stillness was only broken, now and again, by the grating love-call of the snipe. 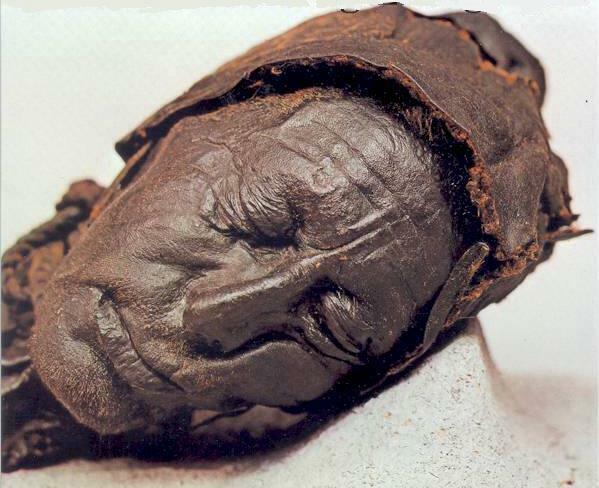 The dead man, too, deep down in the umber-brown peat, seemed to have come alive. He lay on his damp bed as though asleep, resting on his side, the head inclined a little forward, arms and legs bent. His face wore a gentle expression–the eyes lightly closed, the lips softly pursed, as if in silent prayer. It was as though the dead man’s soul had for a moment returned from another world, through the gate in the western sky. The men cutting fuel for the coming winter were not entirely mistaken in their surmise about the body they had uncovered. 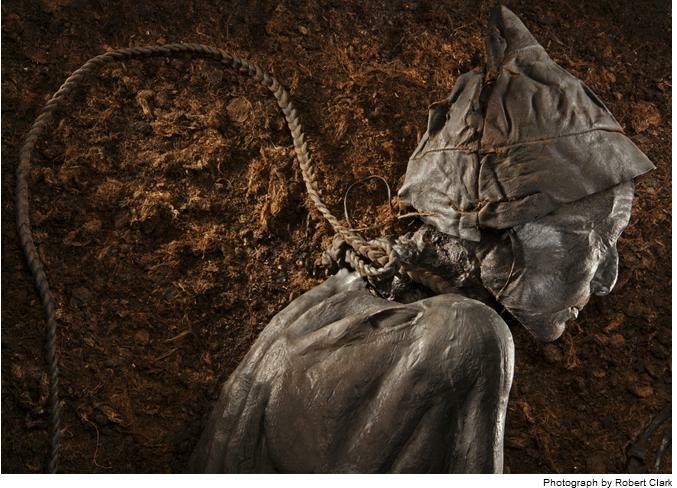 Tollund man was found with a noose around his neck. The Bog People has been re-issued by New York Review Books, a publisher that’s doing a terrific job of bringing the classics, both fiction and nonfiction, back into print.